Credit: Joaquim Goes/Columbia University. Download this image (JPG, 426 KB). 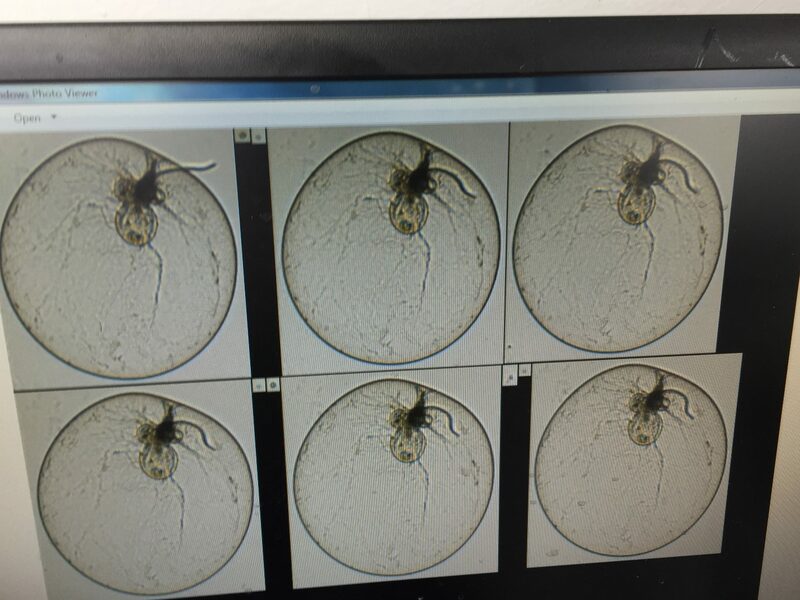 [02-Jun-16] One unique piece of equipment utilized on the Korea - United States Ocean Color (KORUS-OC) Study was a FlowCAM, an instrument that can image particles and organisms as they pass through a tiny opening. This picture includes several Nocticula cells that were collected in an area within a plume from the Yangtze River.